David Gibson pitched seven strong innings, and Staunton took advantage of six walks surrendered by Waynesboro starter Michael Reed, as the Braves held off the Generals, 6-3, before a season-high crowd of 1,561 at John Moxie Memorial Stadium Friday night. Waynesboro jumped out to an early 2-0 lead on a two-run first-inning homer by third baseman Grant Fillipitch, his sixth of the season. The Braves tied it in the second at 2-2 on a pair of RBI singles by Brian Collins and Stephen Branca, then took control in the fifth, loading the bases with nobody out off Reed, then scoring when reliever Tim Leather hit Todd Brazeal with an 0-1 fastball and two outs later when Steve Scoby scored from third on a passed ball by catcher Alan Stoupa. The lead was 6-2 in the seventh on a pair of run-scoring singles by Alex Guerra and Justin Bagbey. Waynesboro loaded the bases with nobody out in the eighth off Gibson, but could only manage one run, on a two-out walk to T.J. Kuban. Stoupa grounded out to end that threat, and reliever Tyler Deetjen retired Waynesboro 1-2-3 in the ninth to close it out. A Luray doubleheader sweep of Woodstock and a come-from-behind win by league-leading Haymarket over New Market Friday night has Waynesboro’s magic number for a playoff berth at one. 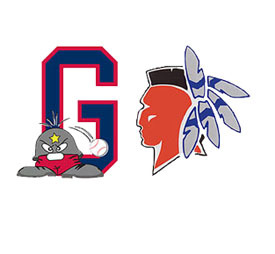 The Generals are off on Saturday, and return to action on Sunday with a day-night, two-team doubleheader at Mathers Park, playing Covington in a makeup game for an early-week rainout at 1 p.m., then hosting Staunton at 7 p.m. in the regular-season home finale.